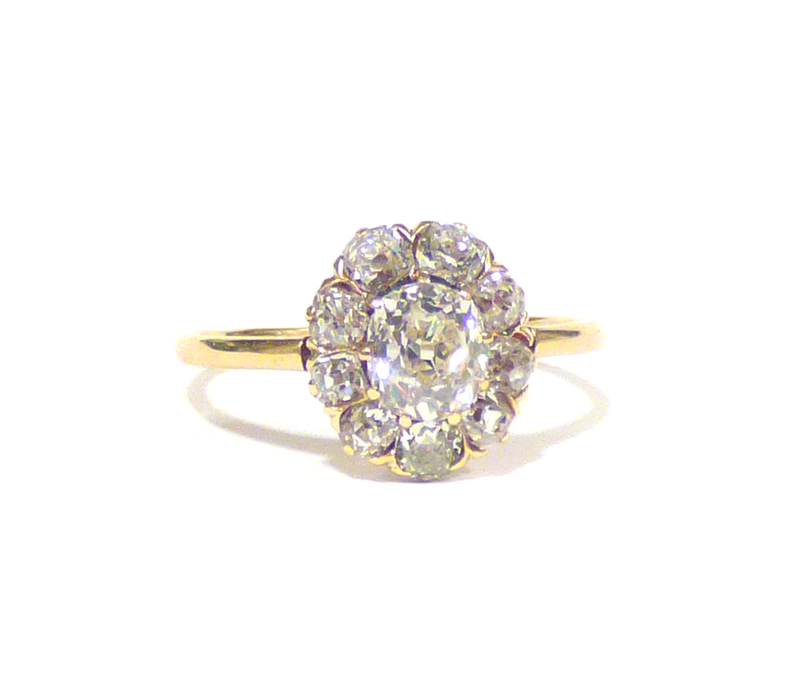 An antique diamond ring centred by a cushion cut diamond encircled by nine old brilliant cuts. 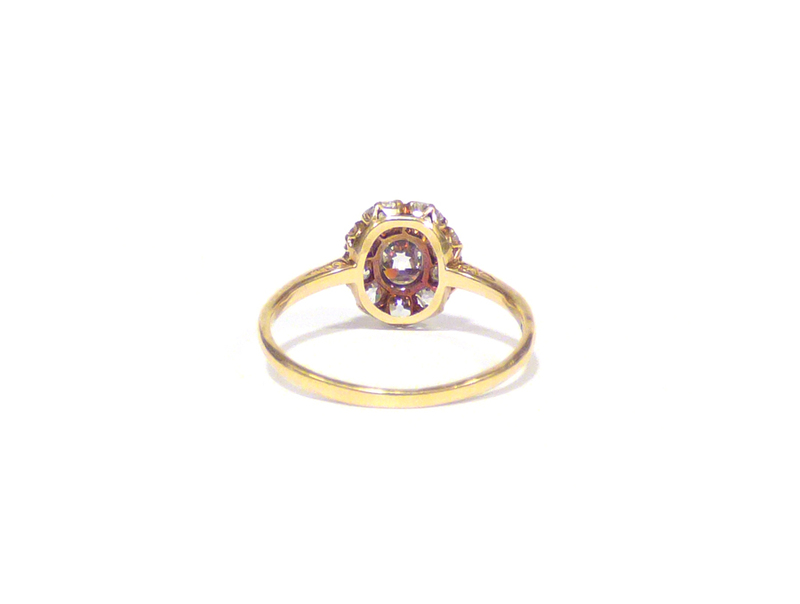 The centre stone of the ring is approximately .90 carats. 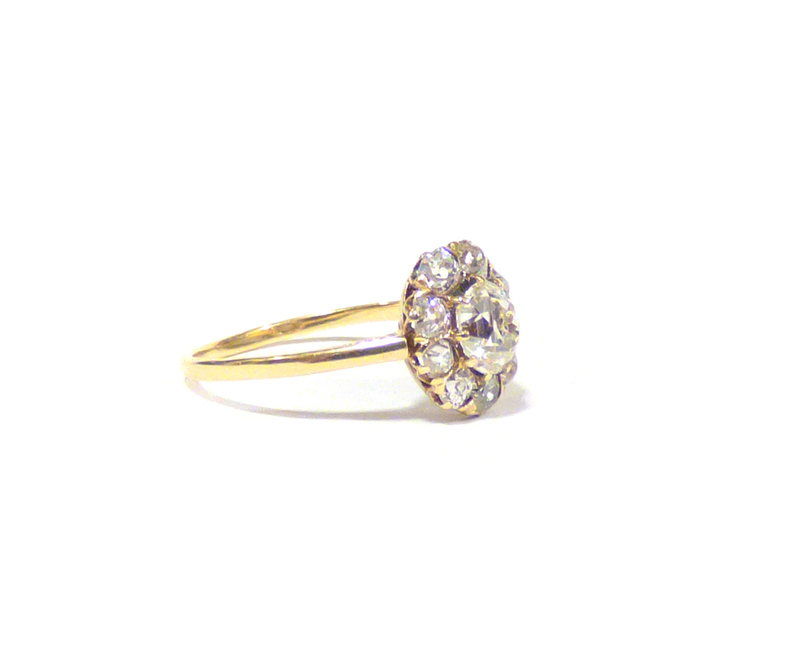 The diamonds around it are .07 to .09 carats each. It is currently a UK finger size M ½, but this can be changed.